It's no secret that a huge focus of Hillary Clinton's Presidential campaign so far has been the issue of trust. Rival candidates, Republican figureheads, pundits, and journalists are all asking the same question, and using it to hurt her chances of winning: Can we trust the former Secretary of State after the so-called "Emailgate?" But while many continue to criticize her lack of openness on certain topics, Hillary's team is doing the best it can to convince the public that she's still worth their vote. Their latest move? Posting a full brief about Hillary Clinton's email account on her official website on Tuesday. Earlier this year, Clinton came under major fire for using her private email account to discuss official state business — an issue that became even worse after it was found that many of these messages had been deleted. The scandal immediately gave Republicans the opportunity to paint Clinton as untrustworthy, a theme that continued as she remained closed-off to reporters throughout the beginning months of her campaign. So it was no surprise then that during Clinton's first interview with a national audience, CNN senior political correspondent Brianna Keilar grilled her on whether or not the public does and should trust her. For most of the Republican party, the answer to that is an unrelenting "No." As Mitt Romney said on MSNBC's Morning Joe, "I'm sure she'll become more effective as time goes on, but at this stage, what does she really believe? I think people wonder — can they really trust Hillary Clinton?" The briefing says that convenience is the only reason Clinton used her personal account. She thought it would be quicker and easier to use just one device. Many of her colleges already had her personal address, and she thought that one account would make it easier to stay in touch with friends and family while traveling. The laws and policies in place at the State Department at the time allowed her to use a personal account for work, so Clinton was well within her rights. In fact, the 2009 National Archives regulation said that employees could use a personal account as long as work emails were preserved. If Clinton was conducting government business, the recipient of the email would have a .gov address and be preserved in record-keeping systems. He was not aware of any restrictions, nor does he recall being made aware of any over the four years he served at State. He sent emails to his staff generally via their State Department email addresses. These emails should be on the State Department computers. He might have occasionally used personal email addresses, as he did when emailing to family and friends. Some people were confused about what device Clinton was sending emails on, but in the briefing, her camp set the record straight. Hillary mostly used her Blackberry, but also got an iPad, which she often used for shopping, reading, and yes, occasionally sending emails. The Select Committee investigating announced that Clinton had been using multiple accounts, but that wasn't true. After Clinton left office, Gawker published her email address, so she had to immediately change it. This was apparently why the Committee mistakenly thought that this meant she was using two as Secretary of State. In 2014, the State Department realized that there might be gaps in its record-keeping system and asked the four most recent Secretaries of State for help. Clinton responded to this by sending in 55,000 pages of emails that she thought had any small mention of work, and 1,246 turned out to be considered personal. The deleted emails were personal, not work-related at all. She got rid of them before the subpoena was in place. 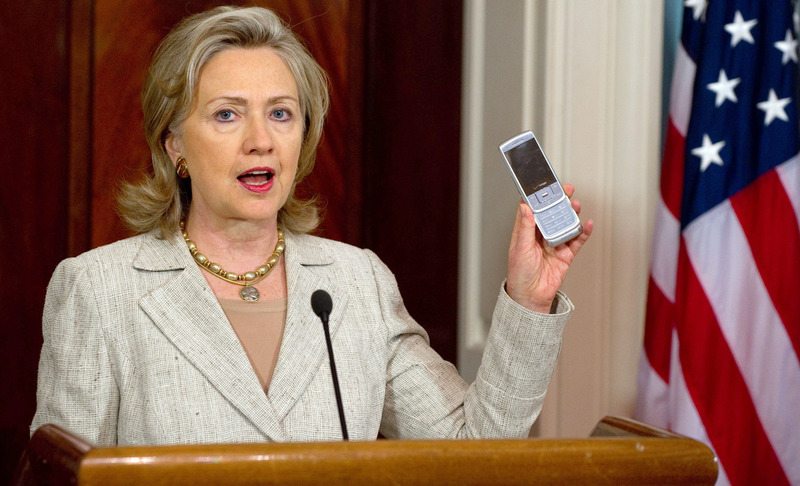 Clinton spoke to foreign officials by phone, correspondence, or in person. In the thousands of emails released, only one was with a foreign official (from the UK). Some of Clinton's deleted emails were about her daughter's wedding, her mother's funeral, and family vacations. She also got rid of things like spam and offers from retailers. Some have called for a third-party agency to investigate this issue, but that isn't possible. The Federal Records Act puts the responsibility onto the official to decide what is and isn't for the public record. A few of her work-related emails did go to the personal email addresses of her aides. However, Clinton turned those in to the State Department when they originally asked for work-related messages. There was also speculation about whether or not some of the emails contained classified information. But apparently, the State Department uses a separate system for transferring classified information, so nothing Clinton sent via email was classified information.